Preventable diseases cause serious illness and even death in unvaccinated seniors. It’s estimated that 45,000 adults die every year from complications due to vaccine-preventable diseases. Vaccines are especially important for seniors because people age 65 and older are at higher risk of complications from these preventable diseases. We explain why vaccines are essential for senior health and which ones are recommended. We also share two helpful CDC resources to take to doctor’s appointments – a vaccine worksheet and a vaccine finder. 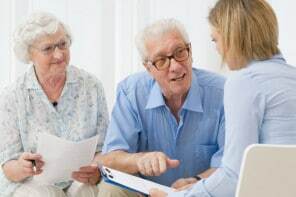 But the most important reason is that seniors are more vulnerable to serious and possibly life-threatening infections. The CDC recommends for people over 65 to get two separate vaccines for pneumonia – Prevnar 13 and Pneumovax 23. This will better protect them from sepsis (bacterial infection in blood), meningitis, and pneumonia. The CDC created a handy vaccine worksheet that shows which vaccines are recommended at which ages. Print this out and take it to your senior’s doctor appointment. It will help you discuss which vaccines your senior needs. Pro tip: An easy way of taking notes is to circle the vaccines the doctor recommends. If their doctor isn’t giving the shots right away, now you’ll be sure to remember which ones are needed. If the doctor gives the vaccines right away, you can write down the date next to each vaccine and have your own record of when they were given. Another quick way to figure out which vaccines you should ask your senior’s doctor about is to take the CDC’s online vaccine quiz. Just answer 11 simple yes/no questions and you’ll get a list of results that you can print out and show the doctor. 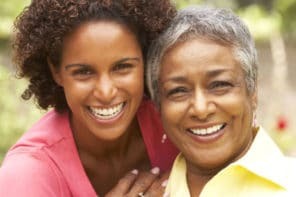 Vaccines are a simple, quick, and inexpensive way to protect your senior from getting a serious illness. Use these tools to talk with their doctor and make sure your senior isn’t missing any of the important vaccines that help protect their health.